Exclusive Groovy Blueberry Local Artist Print! (Artist's Print) | Accessories | Groovy Blueberry Clothing Co. These local prints were made in our own hometown! 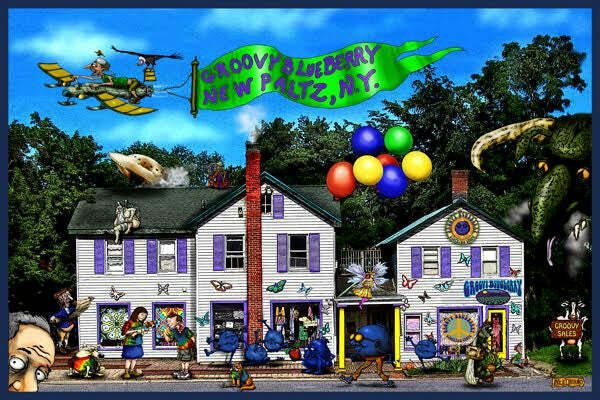 This one is of our own store found on Waterstreet in New Paltz! Find more Accessories or additional Groovy Blueberry Clothing Co. products.